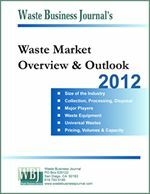 Pitney Bowes Inc. (NYSE: PBI) has been selected by the U.S. Environmental Protection Agency¹s WasteWise Program as a Partner of the Year. This is the fourth consecutive year that Pitney Bowes has been recognized by the EPA and the first year the company was named a "Partner of the Year." 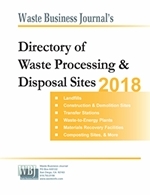 The WasteWise Program was launched by the EPA in 1994 as a voluntary partnership program to help businesses and institutions find practical methods to reduce municipal solid waste, increase recycling, and encourage the buying and manufacturing of products with recycled content. Since initiating the WasteWise program in 1997, the company now boasts a 75 percent rate of recycling. It now encompasses 24 participating facilities across five divisions. In 2000, six of the company¹s facilities began a program to recycle Styrofoam products used in food service. This process resulted in a 40 percent reduction of total trash volume at those facilities, and a cost savings of nearly $115,000 in plastics recycling alone. More information: www.pitneybowes.com.